Creator Lab | Listen Free on Castbox. Conversations with leading entrepreneurs, non-profit founders, award winning designers, educators, artists and everything else in between. We dig deep into their stories, have honest conversations about how they made their ideas come to life and the lessons learned along the way. Watch the full episode on YouTube: https://youtu.be/SGPMfHxFmgo Fabrice Grinda has been called the most prolific angel investor in the world, even being ranked #1 in Forbes based on investment volume + number of exits. He’s exited hundreds of millions of dollars from 500+ investments in companies like Alibaba, Viagogo, Tencent, Airbnb, Betterment, Uber, Fanduel & Palantir. Before setting up his “startup studio” & investment fund, he started and sold multiple companies including OLX, the leading “Craigslist” marketplace of countries like India, Brazil & Pakistan. But things weren’t always so rosy. Fabrice shares stories of living on $2/day, living in his office because he couldn’t afford an apartment & missing payroll 27 times! We also discuss the future of marketplaces, how he’d think of business ideas if starting today, the science of happiness, minimalism, and why we’re still at the very beginning of the tech revolution. Here are five things to listen out for: Reasons to be optimistic – why we’re the luckiest people in the world to be alive at this time and why we’re only at 1% of the tech revolution Minimalism – from living on a 20-acre estate in Bedford, New York, to “island shopping” and then selling all his possessions – Fabrice has lived both extremes and shares his perspective on a healthy balance The Science of Happiness – factors that make people happy and hacks to maximize your own “mean level of happiness” The Future of Marketplaces – 3 trends in marketplace businesses and a framework for thinking about business ideas How Venture Capital Works – the typical startup fundraising cycle, from initial investment to venture capital at series A, B, C etc. 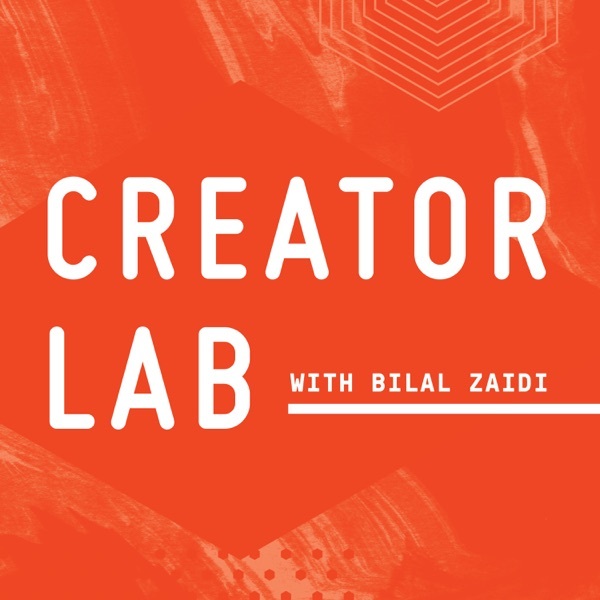 CONNECT ON SOCIAL: https://www.instagram.com/creatorlabfm https://www.instagram.com/bzaidi212 Full show notes: https://www.creatorlab.fm/fabrice-grinda-fj-labs-interview/ Thank you to our sponsors who help make this show possible: SquareFoot, where growing companies find their place, check out SquareFoot.com/creatorlab to find your next office space Instasleep Mint Melts, the drug-free sleep aid that melts in your mouth. Use the code “creator8” to get 20% off your order on Amazon. Julien Smith is the co-founder & CEO of Breather. They provide an on-demand network of private meeting rooms designed for work, meetings and focus. They’ve raised over $80m to date and are on a strong trajectory of growth. Before that, Julien was a best selling author, speaker & podcaster. In this conversation, Julien and Bilal discuss how he thinks about pattern detection, how he used these frameworks to develop the idea for Breather & how you can apply this to your own work. Full show notes & timestamps: https://www.creatorlab.fm/julien-smith-breather-detecting-patterns/ Time Stamps: 1:52 - Who are you/what do you do 2:30 - Detecting patterns. Is that that what you’re good at? 4:10 - Scale & growth of Breather, how did Julien get there 6:43 - When Julien started Breather, how many units did he start with & how do they keep them secure? 8:09 - What does Breather's customer base look like? What are their customer segments? 8:58 - How big is this market? How do you estimate market size? 9:50 - Thinking about security for a physical space - digital vs analog locks. 11:30 - Growing up in Canada & what did Julien want to be when he grew up? 13:20 - Learning what you’re good at and 360 reviews 17:10 - How Julien thinks about detecting patterns? Is this something we can learn to become better at? 20:25 - Is detecting patterns a skill or luck? 24:10 - Detecting patterns: is it a learned behavior? Discussing Charlie Munger and Warren Buffet. 28:30 - the value of the expert generalist 30:00 - What sources of information do you follow? Books, podcasts, people, etc? 33:30 - What can people do to accelerate the process of growing and connecting with people they can learn from? 36:00 - Jeff Bezos story of the regret minimization framework 39:30 - What were some of the macro trends he identified to help start Breather? Are there certain macro trends that he sees right now? 42:20 - Cities + network effects + timing 46:02 - Bilal discusses idea for supper clubs platform 47:50 - Omnifocus app he uses for tasks 48:10 - Developing healthy habits? Streaks app 51:40 - What is Julien’s routine and a typical day? Morning pages. The creative habit. 55:05 - What is motivating Julien right now? 56:30 - What does success mean to you? Thanks Alex! Trying my best to challenge myself with bringing on all sorts of people and even though I didn’t agree with everything Nathan said, I learned so much from that convo and will continue to try and bring different folks on the show. Appreciate your message! Amazing episode dropping in the next couple days with the #1 ranked angel investor in the world. We talk about the science of happiness, minimalism, how he invested in 500 companies, marketplace/platform businesses and so much more! Hope you have a chance to check it out and some of my fav episodes from the backlog include: ep. 2 with Scott Harrison from charity: water, ep. 5 with Erin, ep. 14 with Gary Vee and the recent one with Erika was a great chat too. Very lucky to have only top quality guests so I think you’ll find some you’re interested in. Cheers! Bilal Zaidi Nice response Bilal, I was scrolling through the home screen of my podcast player and saw this comment. You handled it well, I'm gonna give your show a listen.